Students crave safety and structure at school. Establishing consistent routines at the beginning of the school year will reduce off-task and sometimes disruptive behavior throughout the year. At the beginning of the school year, explain the procedures for classroom routines, such as how to setup a notebook or journal entry page or organize a math binder. 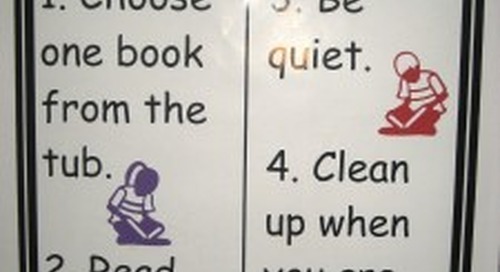 Using visual cues will allow students to work independently and stay organized! Create a sample table of contents page for a science notebook and scan it through the Poster Maker scanner to enlarge it into a poster size, then post. Have students start class each day by taking out their science notebook and recording the date, page number and name of the investigation in the table of contents of their notebook. 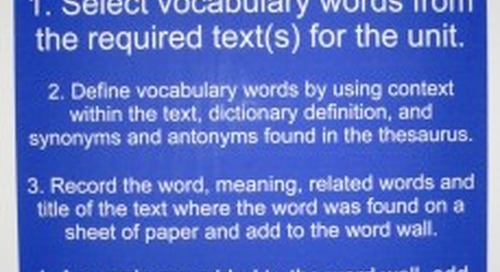 Have a student volunteer record the information on the class poster to assist students who need additional guidance. Then have students turn to the appropriate page in their notebook and begin to make predictions and record questions about the upcoming scientific investigation or write conclusions or reflections on the lesson from the previous day, all as part of their warm up. 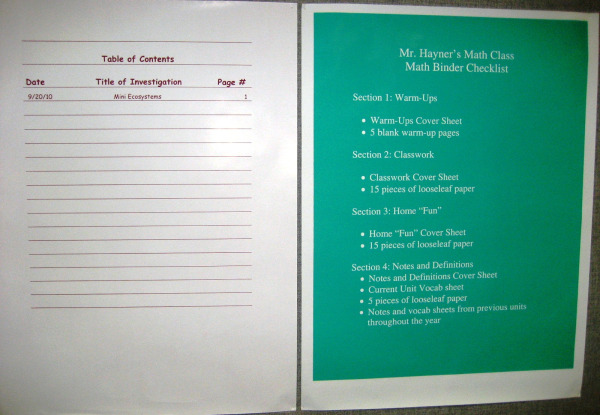 Create a checklist of the sections students need to maintain in their math binder and scan it through the Poster Maker scanner to enlarge it into poster size. Display this checklist while showing students how to organize their math binder at the beginning of the school year. Bring this poster out again when you start each unit so that students have a visual cue and can organize their binder independently.